Temporarily out of stock ETA Jan 16th/17thLove, Love, Love.... This lovely Coach opens to reveal Bride and Groom and also holds a photo. 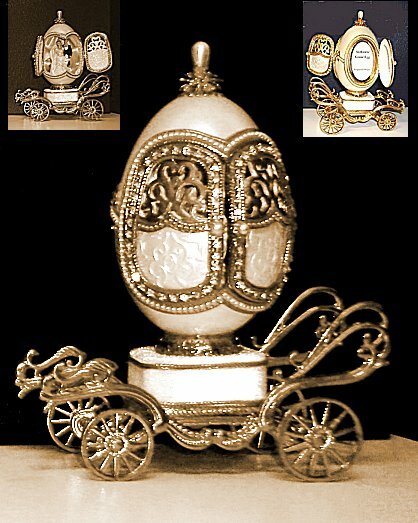 About 6" tall, playing "The Wedding March" this genuine goose egg is perfect for a bridal shower or egg collection.